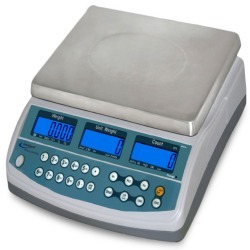 Rental Counting Scale Cap: 50 lb in place. 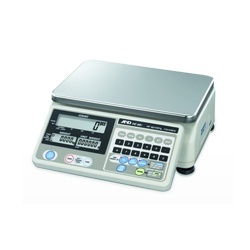 We can offer you an easy to use electronic counting scale for rent. 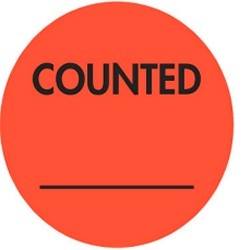 Our rates are affordable and all it will take is a few parts counts to understand and appreciate the amount of time you will save and in most cases the increased accuracy you will achieve over counting parts out by hand. Don't forget we also offer discounted rates for two, three or four week rentals. The prices are reflected in the cart. Our rental scales are checked and calibrated before being shipped out. We offer this item as a "50 lb capacity counting scale" please note we will ship what is available in our current stock. This means you may receive a 50 lb capacity or perhaps a 60 lb capacity scale, it all depends on our demand and stock levels at the time you place an order. Either version is very accurate and easy to use. Please note that your rental time does not include transit time. So if you rent our scales for one week, then we allow you to use the scales for a full five days from the date they were received. When you return the scales, ship them prepaid via a reputable carrier such as UPS or FedEx. Be sure to include ALL accessories like the AC adapter, user manual etc... AND be sure to use the original box and the original packing material. Failure to return these items will result in an additional charge for us to recoup the costs to replace these items. All the items below are approximate specifications since we ship the current scales that we have available to rent. 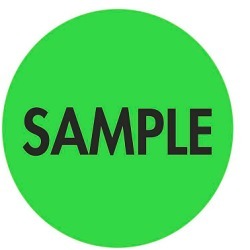 They are designed to give you an approximate idea of what you will receive.